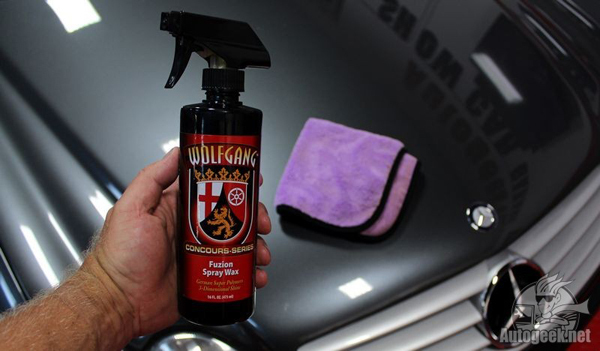 Wolfgang Fuzion Spray Wax offers extended wax protection that was previously not available in a spray! I’ve traveled all over the world in search of the missing link that would enable my team of chemists to manipulate and fuse the core ingredients in Fuzion Paste Wax to create a sprayable version. It has taken years of trial and error and thousands of reformulations, but my team and I have done it – Fuzion Spray Wax is finally here. The road to creating Wolfgang Fuzion Spray Wax has made my gray hair a shade or two whiter, but I’m certain that the smile on your face after using Fuzion Spray Wax will justify the challenge my team and I endured to create the magic that is Fuzion Spray Wax. You see, what prevented Wolfgang Car Care from manufacturing a Fuzion Spray Wax all along was the ability, or lack thereof, to “bind” these two ingredients to create a workable, spray-on car wax. One day, while traveling across Europe, I met a chemist that let me voice my frustrations. He accepted the challenge and shortly after Wolfgang Fuzion Spray Wax was born. Wolfgang Fuzion Spray Wax is as unique as they come. At the heart of Fuzion Spray Wax is the second generation of German Super Polymers. 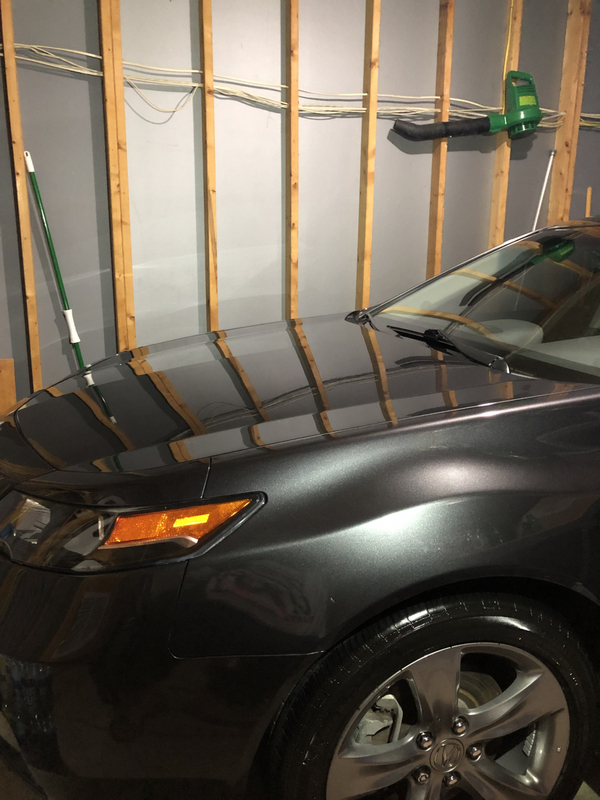 The mile-deep reflections and shimmering liquid gloss wouldn’t be possible without Brazilian Carnauba Wax, which is a prime ingredient as well. The proprietary blending process for this formula calls for such stringent tolerances that it had to be manufactured in the heart of Germany. Wolfgang Fuzion Spray Wax, in my somewhat biased opinion, is the absolute best spray wax you will ever use. It’s such a wax and polymer-dense formula that it works equally well on wet paint as it does dry paint. 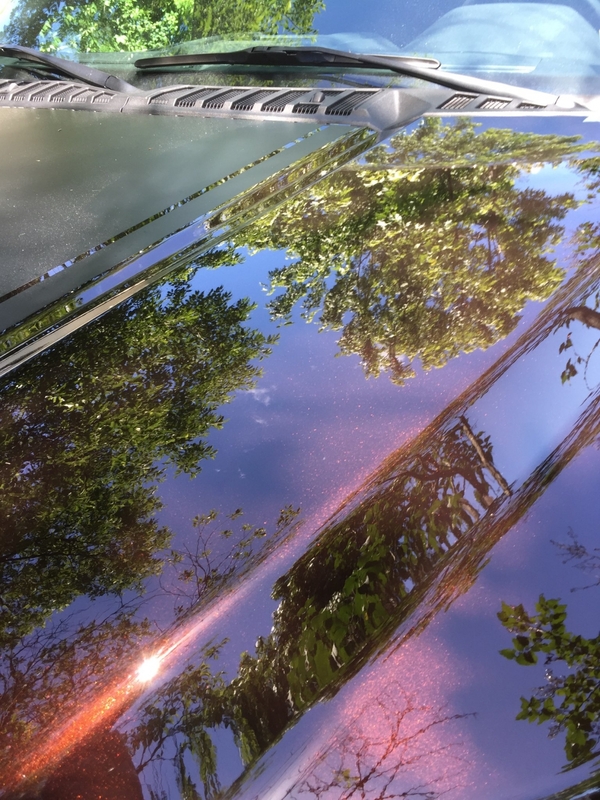 Applying it to a dry surface will yield the best longevity as you would expect, but you’ll be absolutely delighted to find that applying it to your wet car right after you’ve washed it will save you time while still resulting in a unbelievably glossy finish that lasts months, not weeks. 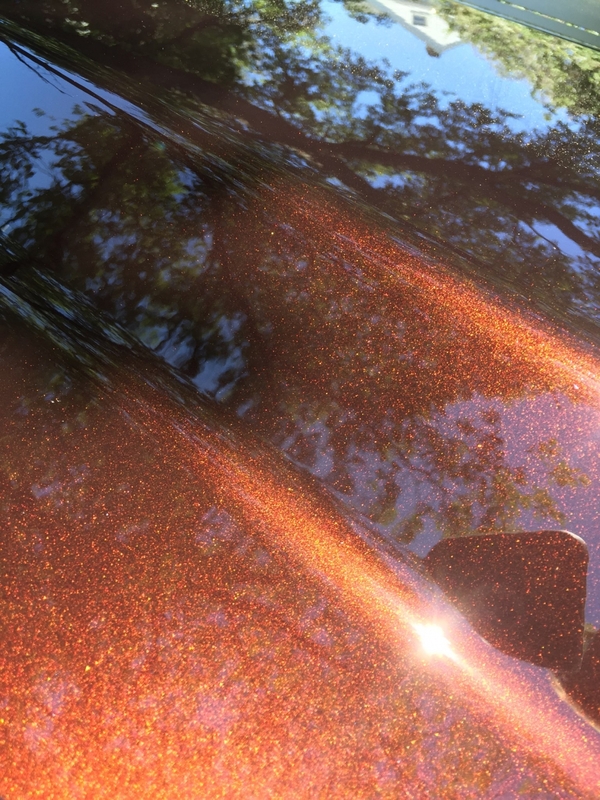 The carnauba wax formulation in Wolfgang Fuzion Spray Wax creates an immense amount of surface tension. This effect causes water to bead up and roll off the finish, taking dirt and corrosive contaminants with it. 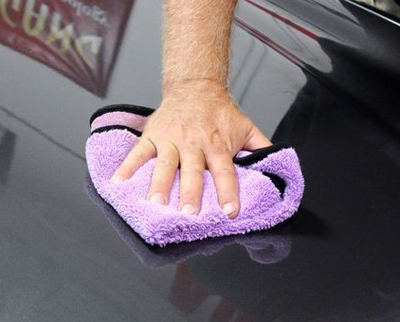 This self-cleaning ability naturally keeps your vehicle cleaner in between washes. You will be amazed at how nothing “sticks” to the paint, including bird droppings, hard water spots, and tree sap. 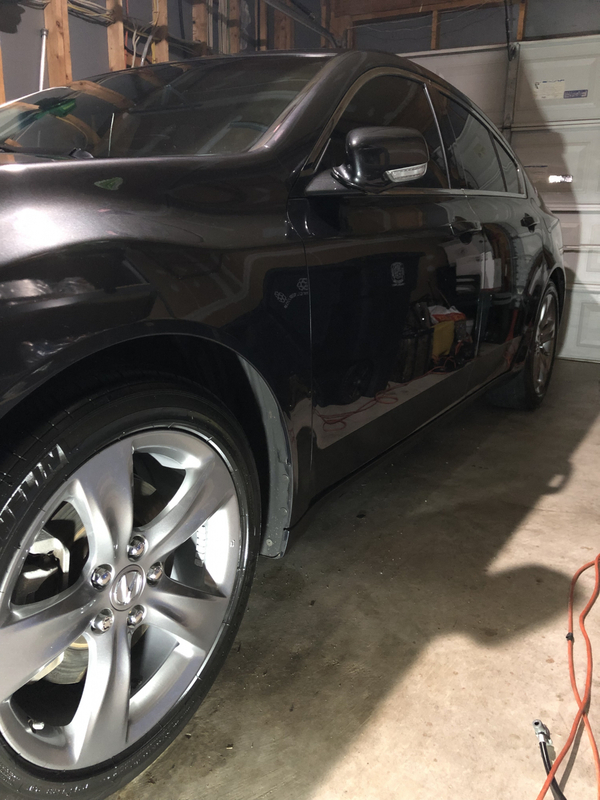 Wolfgang Fuzion Spray Wax is compatible with all Wolfgang formulas, including Fuzion Paste Wax and Deep Gloss Paint Sealant. Use it as a topper, or as a stand alone wax. 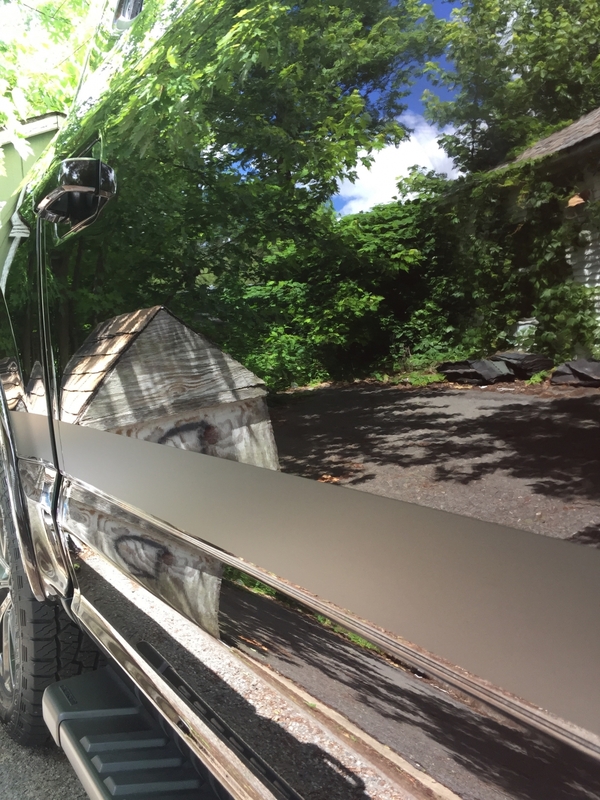 Regardless of which application you choose, Fuzion Spray Wax will blanket your paint with crisp, clear reflections that last for months. Wolfgang Fuzion Spray Wax is magical in its application and removal. 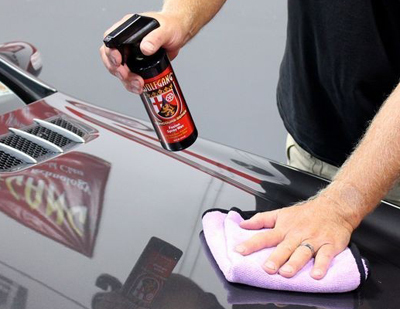 If you’re applying Fuzion Spray Wax to your freshly washed vehicle while it’s still wet, mist the paint one panel at a time and then immediately dry using a Guzzler Waffle Weave Drying Towel. Flip the towel to a dry side and buff the paint to a head-turning gloss that will leave you grinning from ear to ear. Apply to dry paint using the same technique, except replace the Guzzler with a Super Plush Jr..
Wolfgang Hat - FREE With Wolfgang Orders over $75!Wolfgang Car Care KitsWolfgang Füzion Carnauba Polymer Estate Wax 3 oz. Mini Wolfgang Füzion Estate Wax Mini Connoisseur’s Kit Wolfgang Füzion Carnauba Polymer Estate WaxWolfgang Füzion Estate Wax Connoisseur’s KitWolfgang™ Plastic Headlight Lens Cleaning SystemWolfgang Deluxe Plastic Headlight Lens Cleaning KitWolfgang Deep Gloss Paint SealantWolfgang Perfekt Finish Paint PrepWolfgang Uber Ceramic CoatingWolfgang Fuzion Connoisseur’s Choice Wax KitWolfgang Deep Gloss Liquid Seal 8 oz.Wolfgang Auto BatheWolfgang Uber Wash & WaxWolfgang Paintwork Polish EnhancerWolfgang Uber All In OneWolfgang Uber Compound 3.0 8 oz.Wolfgang Total Swirl Remover 3.0 8 oz.Wolfgang Finishing Glaze 3.0 8 oz. Amazing shine and depth. So easy to use, best spray wax by far. Menzerna 3-1 polishing pad and a coat of Wolfgang Fusion on my Magma red F150 !!! 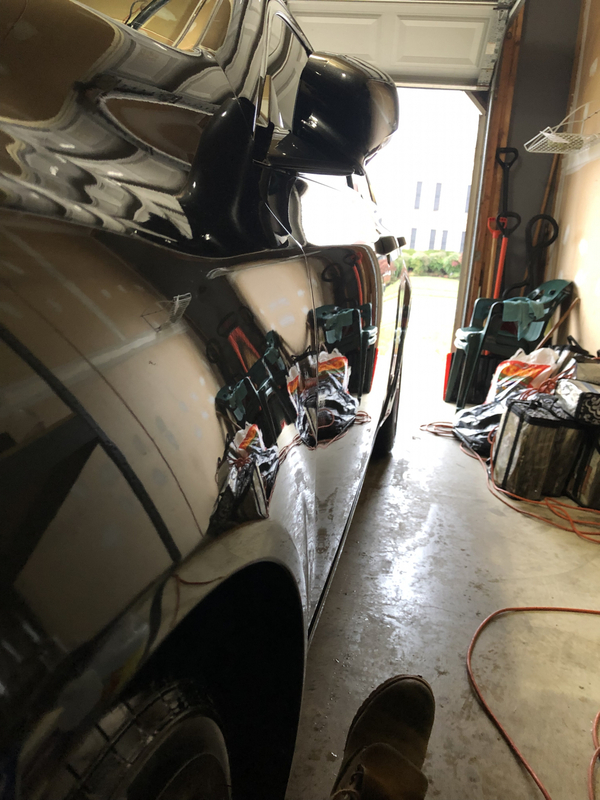 ProsThe best spray wax by a mile. Best spray wax I've used. Easy to use, just spray and wipe off. Highly recommended. Over the weekend I took advantage of the warm weather in Colorado Springs. Washed both of our 2015 Subaru Outbacks. Used paint prep towel and ONR diluted to clay lube specs. On one Outback, I applied Fuzion Paste, the other I used Fuzion Spray. Over the next few months I will compare how the two product's durability compares. Both Outbacks will be cared for only by me - touchless carwash if needed to remove excess dirt and salt buildup. When weather permits, both will receive ONR Rinseless washing. I will update as the winter moves along. I love both products. The liquid is a lot easier and quicker to apply and seems to leave a slicker finish. The paste is also easy to use but takes longer. To me the paste version seems to leave a thicker feeling finish. ConsOverspray onto glass, especially the windshield. I used this product for the first time last week on my wifes BMW X3 and was very pleased with the results. Extreme gloss and shine. A very noticeable difference from the usual product I use. Used very little per panel. Hazes slightly after you gently massage it into the paint. Pay attention to wipe off to remove all of the product. I drove my low mile pristine Grand Prix to a "Cars & Coffee" event at The Indianapolis Motor Speedway. I detailed the car at the event using the fusion spray wax. Stunning results on the Flame Red paint. People commented on the paint using words like...."Magnificent"....."Flawless"..... Do yourself a favor...get this product. ProsWarm glowing shine. Wet looking. Small amount goes a long way. ConsProbably price. Time it and buy it when they run a sale.